Honors just keep coming for River City Art Association’s Valerie Funk of Terre Haute. “Her quilts perfectly encompass our theme of ‘Build a Better World,'” the library said in a post on it’s Facebook page after tonight’s closing reception. 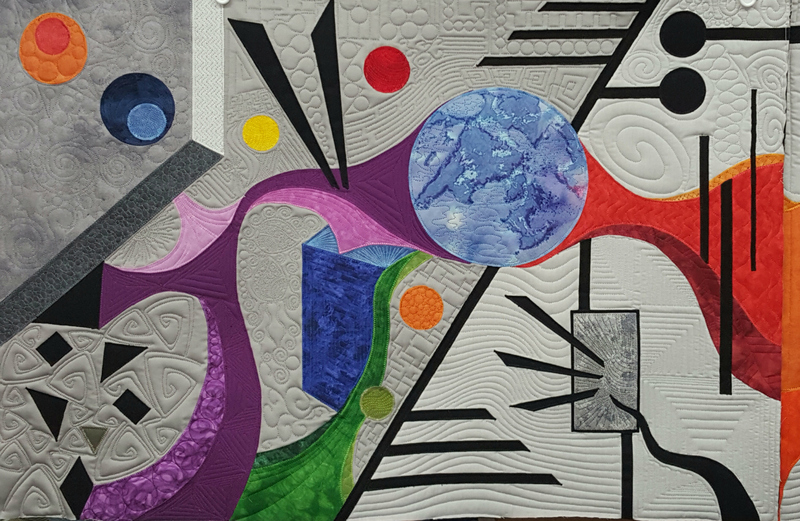 This entry was posted in Member News and tagged abstract art, Build a Better World, quilts, River City Art Association, Symposium of Peace, Terre Haute, Valerie Funk, Vigo County Public Library. Bookmark the permalink.